To improve performance, promote awareness and understanding of effective implemented management systems, IQC offer OPEN HOUSE training on management systems. As an affiliate of IQCS Certification in Singapore with an Accredited Auditor Training Organisation Licence Number A09422, IQC conducts IRCA approved Lead Auditor training courses. These courses are dedicated to training auditors in rolling out Management Systems that assure Quality, Environmental Factors and the Occupational Health and Safety Management and HAACP in India and the Middle East. 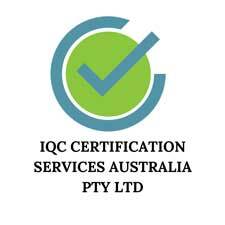 IQC CERTIFICATION SERVICES AUSTRALIA PTY LTD.